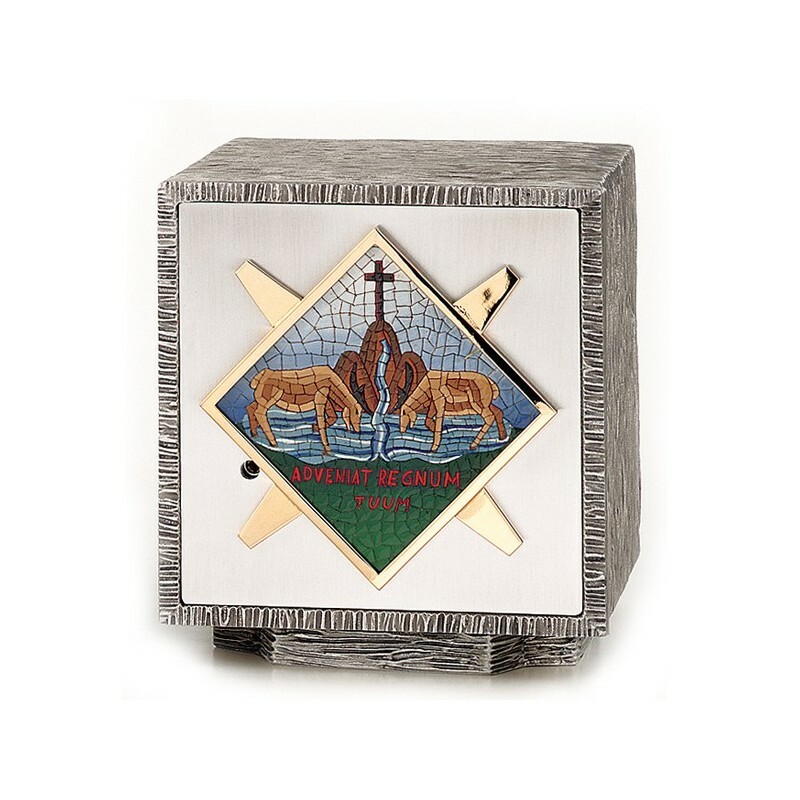 Golden or silver-plated tabernacle with security lock. 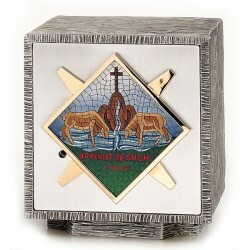 Tabernacle with mosaic door of silver-plated brass. External dimensions: cm. 22x20x20. Door: cm. 17,50x16.